For most people, they are not only new to the public, but also unknown to the Socialist Party itself. They have never enjoyed a high profile and they have never been involved in party politics. They are the new cabinet ministers that PM Edi Rama has chosen to work with. The challenges that the seven ministers face are greater than any comment that can be made about them. The syndrome of the second term in office that has affected the ruling Socialist Party, the local government elections and crucial decision expected to be taken in June for the launch of EU accession talks, make these some of the biggest challenges that this cabinet has ever faced. The way this cabinet will tackle these three challenges, will have a big impact on the future of the country and the government. Edi Rama, Foreign Minister and Prime Minister. Will he be on the same level as Ismail Qemali? Edi Rama is the fourth Prime Minister in the history of Albania, after Ismail Qemali, Turhan Pash Permeti and Enver Hoxha who is also expected to hold the post of Foreign minister. This is expected to happen 75 years after what Enver Hoxha did in 1944. As soon as he took office as Prime Minister, he also held the post of Foreign minister and Defence minister. But how will Rama hold on to this post, which, according to him is temporary? The decision about the opening of EU accession talks, the delicate debate on the border changes between Serbia and Kosovo and the presidency of OSCE are some tough nuts to crack for Rama’s diplomatic talent. It’s true that this post will actually be held by Gent Cakaj, the current vice minister, but Rama will need to participate in each meeting that a Foreign minister holds. Another six months may be needed until the Constitutional Court is finally constituted and during this period, Rama will need to face many tough challenges in diplomacy. Meanwhile, one of Edi Rama’s undelivered promises is the fact that he has previously declared that he would hold no other position besides that of the Prime Minister. Now, he’s also expected to be nominated as Foreign minister. It’s not president Meta or the Socialist Movement for Integration Party that the government should blame for things such as nepotism and corruption in the administration. Albania continues to have an administration which can only be compared to the standards of an Ottoman one. However, being a man of principles and strict, Braçe needs to make radical changes in it. We are not expecting to see drastic changes, but tangible ones. For Braçe, this is the biggest test of his 23 year old career as a politician. Belinda Balluku is niece to the former communist Defence minister, Beqir Balluku, who has also held the post of deputy Prime Minister, army general and was one of the most important figures of the communist regime. Beqir Balluku was later executed by the then dictator Enver Hoxha. Belinda Balluku has occupied more administrative positions rather than political ones. In the past, she worked as head of cabinet at Tirana City Hall and also as head of ANTA. Rama himself considers her career as brilliant, while the opposition considers her to be a very corrupt official. However, everything will be put behind if Balluku manages to tackle big challenges such as the scandal with the company that was going to be in charge of the construction of a part of the Ring Road of Tirana, the poor infrastructure and the numerous projects which are waiting to be implemented. 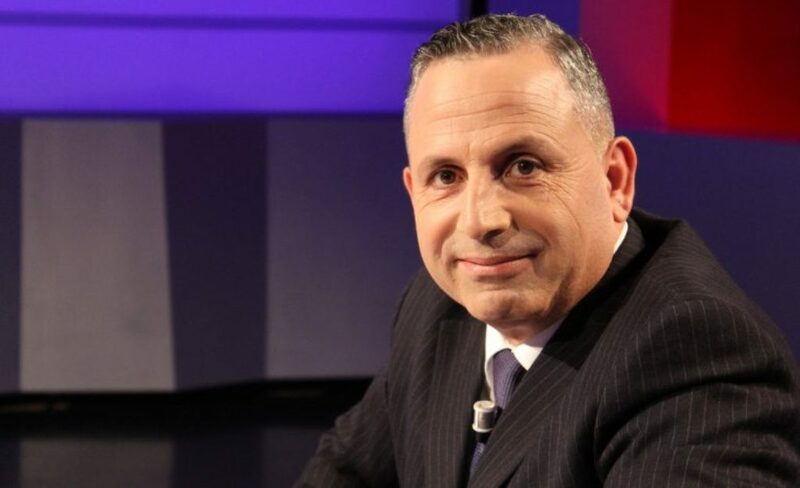 Eduard Shalsi will always be remembered for his famous declaration in a TV debate, when he was in opposition: We will never steal as much as they [DP] do. Now that he’s a minister, many people will certainly remind him of what he once said and he needs to overcome this with his performance as minister. Shalsi is the second official with a background at Tirana City Hall. At that time, he was a good manager and a good vice mayor when Rama also became party leader. Besa Shahini’s biggest problem is the fact that she speaks with the accent of Kosovo and not the fact that she’s from Kosovo. In Albania, people do not judge you because you’re from Kosovo, but because you speak with a dialect. The Albanian language is one and if one has not been able to learn how to speak it correctly, one cannot justify oneself with the fact of being from Kosovo. I don’t know how Shahini will overcome this, but I think that she will face numerous challenges in her way of communication. Nevertheless, Shahini’s biggest challenge is the students’ protest. After Kastriot Islami in 1991, she is the second minister to hold this post at a time when university students have taken to the streets. God knows how Besa Shahini will manage this chaos, but we just need to wait and see. How easy is this job when you’re replacing Kumbaro? Everyone who would replace Mirela Kumbaro, would have an easier job. Considered as the most incompetent minister of all, Mieral Kumbaro has given a very good opportunity to the newly nominated minister, Elva Margariti. However, in the days, weeks and months to come, she will realize what her predecessor has done in this ministry for the past five years. Anila Denaj faces the biggest challenges of all. This government may be forgiven for everything except for the economy. In a situation when her predecessor, Arben Ahmetaj boasted that the economy was growing, while the economy was in fact slowing down, Denaj has a heavy weight on her shoulder. 4% economic growth for a country such as Albania is nothing. This is why Denaj needs to tackle one of the biggest challenges that the country faces. It’s not surprising to see a man who has always lived in central Tirana to be nominated as minister of Agriculture. After Genc Ruli and Edmond Panariti, this post now goes to Bledi Çuçi. The biggest challenge of all for this minister is food safety and he should be well prepared for this challenge. But if he’s an honest and capable minister, then he has the chance to leave behind a great legacy. The battle for food safety is a continuous one and he should never make compromises with people’s lives. Elisa is the girl who came from the USA and who was part of MJAFT civil organization for quite a while. Now that she’s a minister, she needs to put her money where the mouth is. Although the biggest problems that people face in this country have to do with things like food, water and other basic things and although Elisa’s job is to handle relations with Parliament, she needs to do more to be closer to people and their problems.